A newly published study in Annals of Emergency Medicine has shown how Medicaid Expansion has affected 25 states since the enaction of the Affordable Care Act (the ACA) in 2014. While many had hoped that expanding Medicaid would alleviate some of the overuse of EDs in the states that offered the expansion, others predicted that access to insurance would increase usage of all medical care, including EDs. The study has shown that in states that expanded Medicaid coverage under the the ACA saw 2.5 emergency department visits more per 1,000 people after 2014, while the share of emergency department visits by the uninsured decreased by 5.3 percent. The share of visits covered by private insurance remained constant for expansion states and increased by several percentage points for non-expansion states. 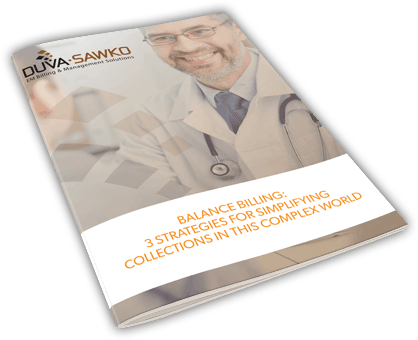 The team here at DuvaSawko is dedicated to effectively managing these types of changes in payer mix. Contact us today to discuss how these changes could potentially affect your practice, and to get more perspective on ways we can help your group increase your revenue by up to 30%. Click here to read more on this study or click here to view the study in its entirety.